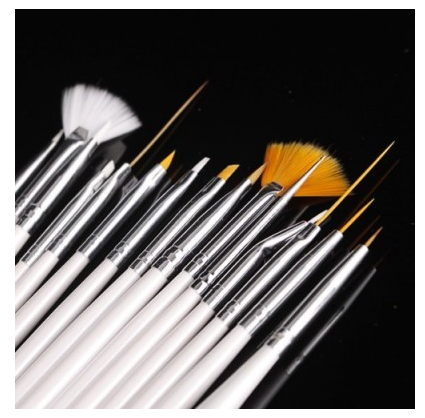 15-piece Nail Art Design Brush Kit Only $2.41 SHIPPED! You are here: Home / Great Deals / Amazon Deals / 15-piece Nail Art Design Brush Kit Only $2.41 SHIPPED! Love doing your own manis and pedis to save money? If so, you are going to love this deal! Right now, you can snag this 15-piece Nail Art Design Brush Kit for only $2.41 + FREE shipping! This would be perfect to apply these super cute Mickey Mouse Rhinstone Nail Designs!